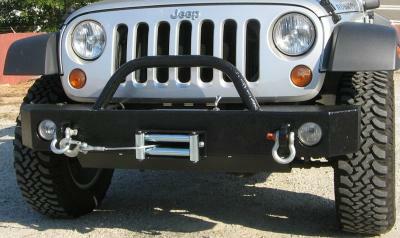 This bumper replaces your Jeep Wrangleer (JK) OEM bumper with the welded strength of steel. A direct bolt-on design to fit securely to your frame. Price shown is the base price for this bumper. 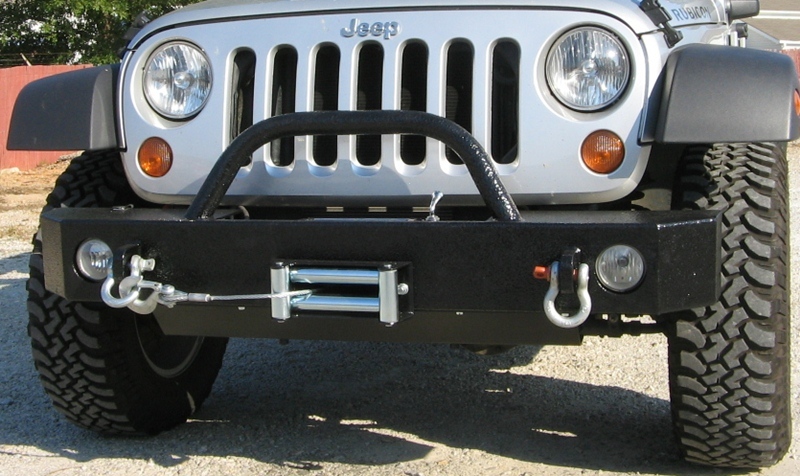 This all steel construction winch bumper has been designed to improve your off-road, rock-climbing performance while still supporting a mountable winch in a strong 1/4" steel winch box. The tough, integrated design ensures that the winch is protected and provides for optional fully welded tow points and other accessories. All welds are ground and finished to give a professional, high quality appearance. Made with the highest quality standards by experienced craftsman using the latest technologies. Our bumpers are 100% made in the USA by American craftsman and materials!